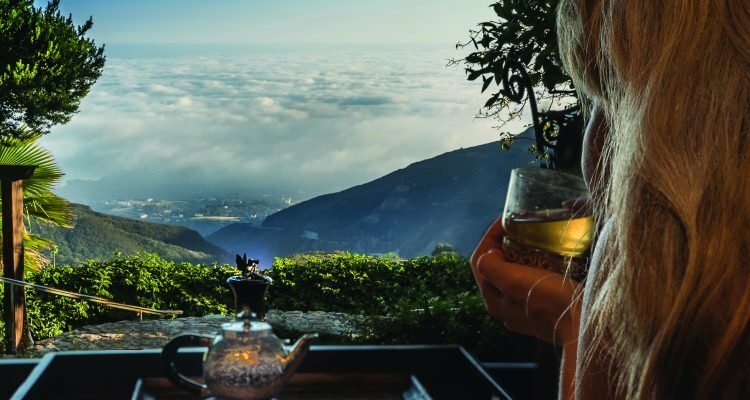 LuxeGetaways Magazine – Fall 2016 | Perched atop the beautiful mountains of Malibu, Aja Malibu invites guests to relax and replenish their minds, bodies and souls at its all-inclusive, seven-day retreat experience that has just opened this season. Designed by Australian mystic and artist Inannya Magick, Aja Malibu spans 23 ocean-view acres, and boasts seven unique, eco-friendly guest accommodations, as well as seven beautifully manicured Magick Gardens. Aja Malibu incorporates its complete healing concepts into its comfortable “home with a heart.” Each of the unique facilities, from the spa to the guestrooms, incorporates some aspect particularly chosen by Inannya Magick. From the relics and architectural inspirations from her world travels to the thousands of crystals placed in the walls and walkways that canvas the grounds, each of these separate entities encapsulates the organic, artisanal and holistic methodology of Aja Malibu. With an emphasis on the number seven as it pertains to the body’s seven energy systems (or “chakras”), Aja Malibu offers its unique “Signature 7-Night Restorative Chakra Tune Up” also known as the “Magick Process.” Throughout the seven nights of self-realignment, participants have the opportunity to engage in soul-centered meditation, focus on bodily healing and enhance their understanding of cooking, gardening and nutritional planning through various workshops. Without the added distraction of daily life, Aja Malibu encourages guests to focus on their inner being and teaches the concept of “The Guru is You” – a form of self-empowerment wherein the individual can achieve optimal health and well-being. The resort’s impressive dedication to holistic healing carries through to its toxin-free bath products, its chemical-free cleaners and most importantly its farm-to-table plant-based, vegetarian menu. Guests are treated to unique, color-coordinated meals each day where they learn how certain colored, plant-based foods affect their body and promote overall recovery. Because all of the ingredients come directly from Aja Malibu’s expansive gardens, every meal is the epitome of freshness, garnished with well-executed, artistic expression. At the Spa, guests can enjoy the rejuvenating massage treatments while also being introduced to the natural healing properties derived from herbs harvested directly from Aja Malibu’s gardens. With all the modern conveniences associated with a spa, guests can wait for their next treatment in complete relaxation by taking a hot or cold plunge in the Crystal Cave, detoxing in the natural wood-fired Infra-Red Sauna or relaxing their muscles on the Vibration Machine. Though Aja Malibu promotes self-focused restoration, they also encourage communal engagement. At the Apothecary, guests can interact with a friendly community while participating in herbology workshops; tea-blending; and even DIY beauty consults. Likewise, the Om Tea Room inspires guests to form a unique bond with their fellow participants as they learn the elements of a proper tea ceremony. Aja Malibu’s hope is that by removing individuals from the stress associated with daily life for just seven days, they can return them to their daily lives feeling refreshed, refocused, rejuvenated and ready to implement the practical elements gleaned from their stay. Aja Malibu’s all-inclusive, seven-night package starts at $10,000, which includes up to 28 spa treatments, workshops, materials, food and naturopathic supplementation.